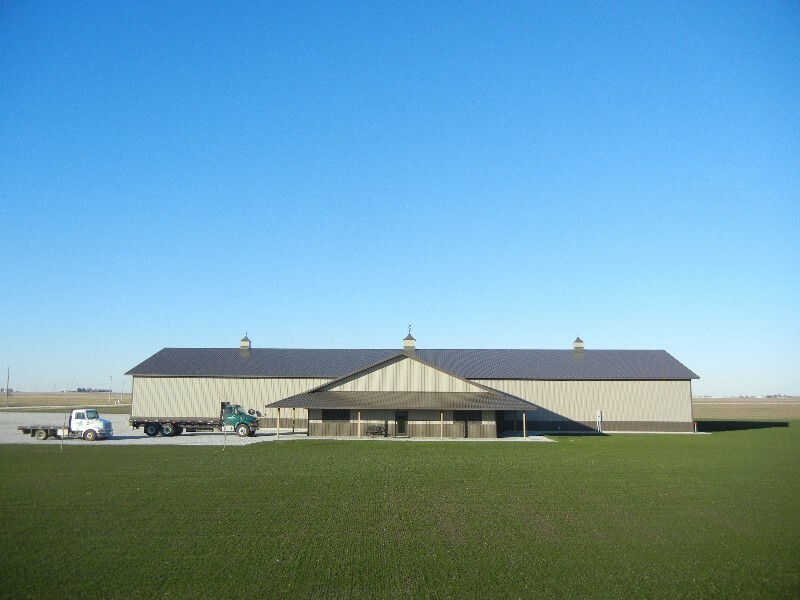 This was a sight in Davenport that had been built up to accommodate a large commercial building and as a result, there was a long, medium-grade slope that had to be built at the front of the property. 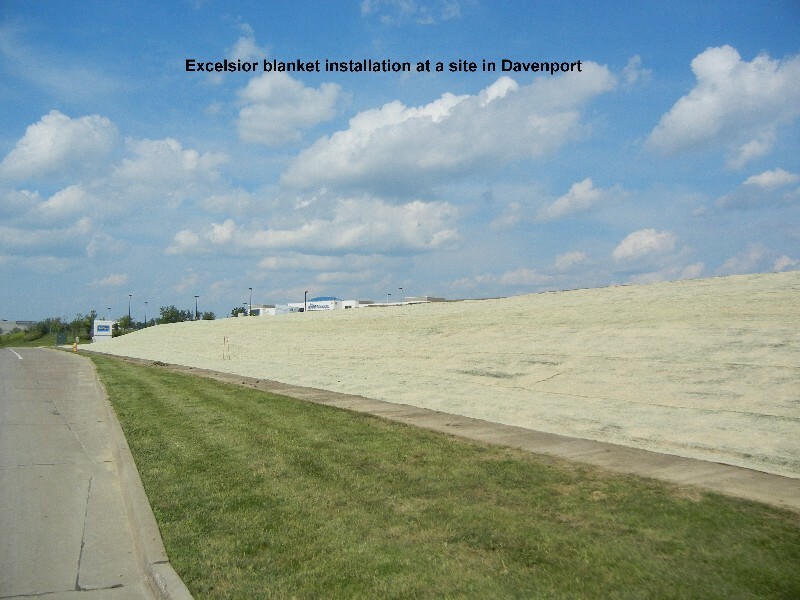 The contractor utilized our QC Type 1 Seed Mix for the slope and used our 8’ x 450’ double net excelsior blanket as the ECB of choice. This was a mud slide that happened down by Cownie Soccer Complex in Des Moines. 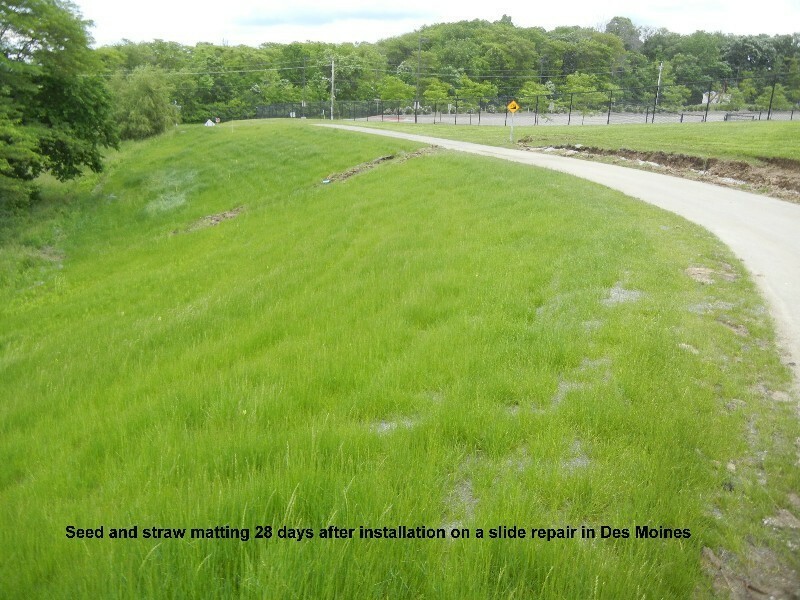 The contractor was called in to re-establish grass and protect the slope. The slope was graded and then seeded with our SUDAS Type 2 Mixture with our single net straw blanket used as the ECB on the job. 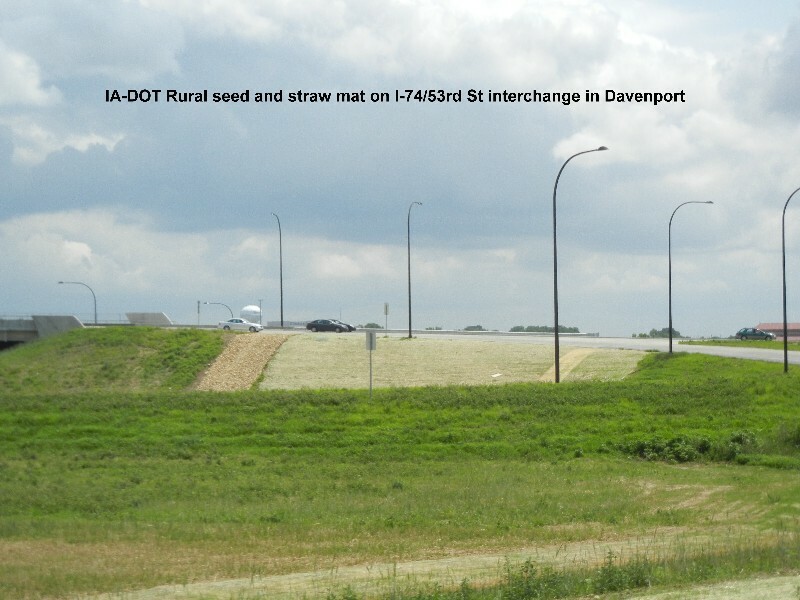 This was a DOT job south of Des Moines where I-35 was being widened. 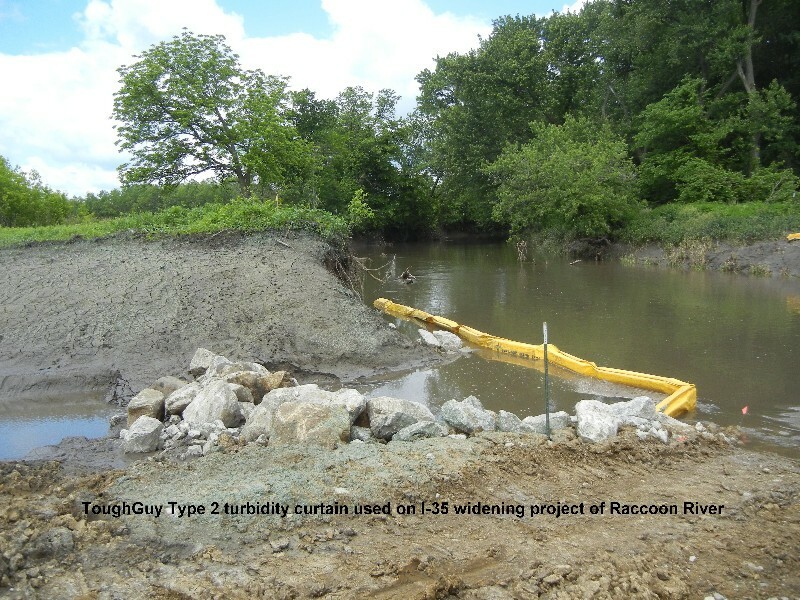 Some of the construction was over the Raccoon River, so our Tough Guy Type 2 turbidity barriers were used to create a static-area in the stream so that sediment could settle out of the disturbed water before running into the main stream. 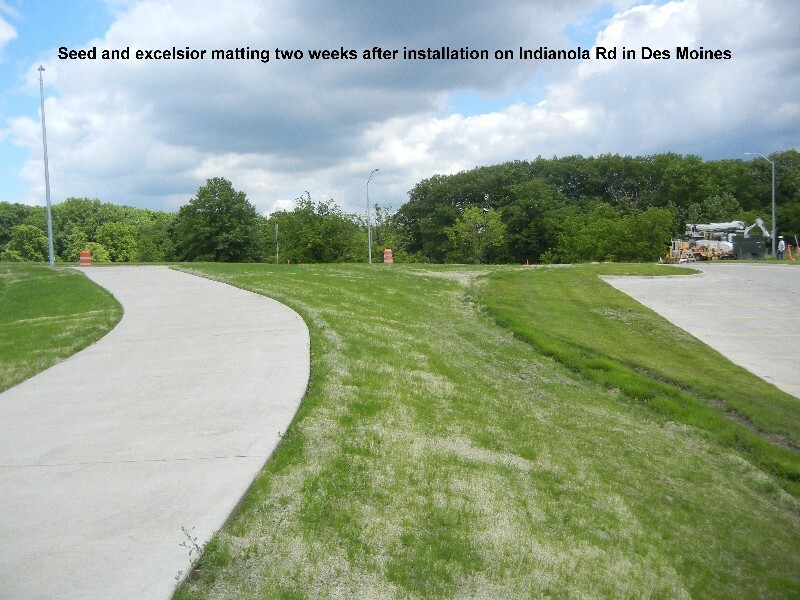 This project consisted of putting in a bike path and parking area along Indianola Road in Des Moines. The specifications called for the SUDAS Type 1 Urban Mix and the contractor used double net excelsior to blanket the seed. 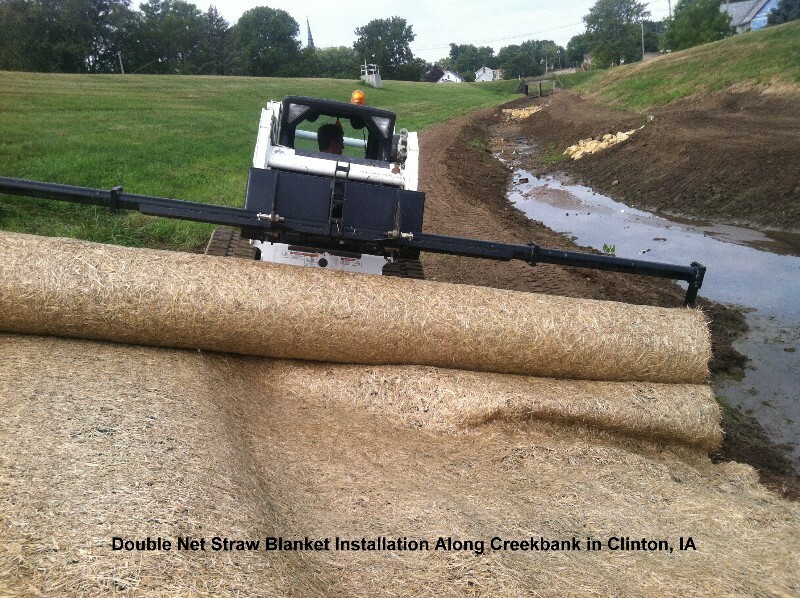 The contractor also used our 8” diameter Silt Sock to help alleviate any sediment runoof. 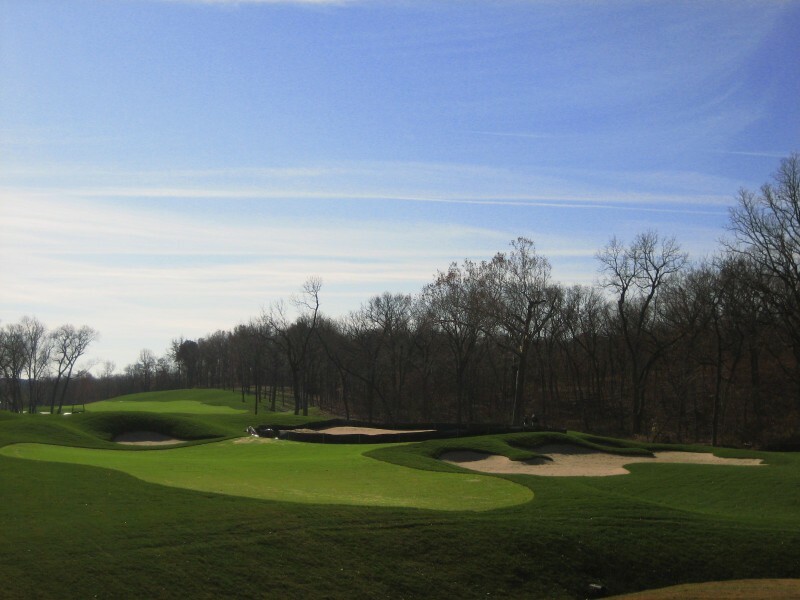 In 2010, the Country Club at Loch Lloyd, a Tom Watson design, decided to completely renovate it's 18 hole course as well as add an additional 9 holes. The project called for completely stripping the existing course, regrading the holes, hydroseeding and seeding the new layout.